Proud of being Argentine, Rubi Rubi chose Tucuman as the perfect site to celebrate both, the Bicentennial of Argentine Independence, and the brand’s first century, by introducing Patria, a collection in sky-blue and white, our Nation’s colors. CLICK HERE TO VIEW THE PHOTOS AND VIDEOS. In the 4th. 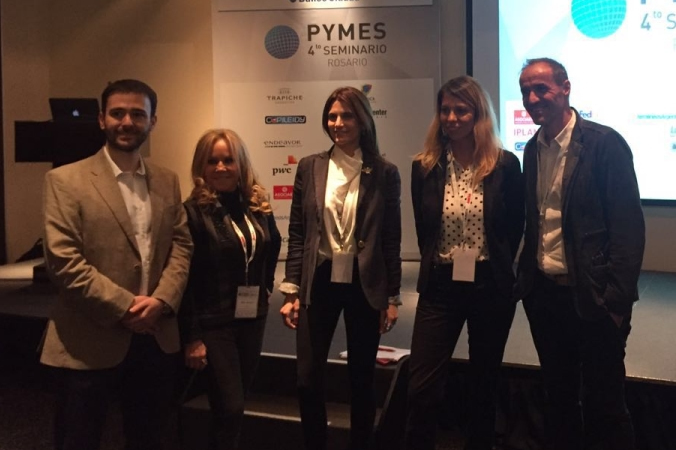 SMEs Seminar sponsored by El Cronista Comercial newspaper and Apertura Magazine which was held in Hotel City Center in Rosario, reference was made to the development, growth and permanence in the market of this high jewelry brand which is celebrating its first century of tradition. Rubi Rubi was present at the Six o'clock Tea in the Brazilian Embassy. Edith Miroznik, the Brand Director and Designer, was a special guest together with Carlos Miele from Brazil among other participating designers. In a production by Abraao Ferreira's in Fasano Hotel, Punta del Este, our brand presented collections of high jewelry together with the designer Javier Saiach 2015 season. Rubi Rubi was part of Caras Magazine’s traditional summer party. We welcomed our friends in an exclusive lounge and enjoyed an amazing sunset in Laguna Escondida together. 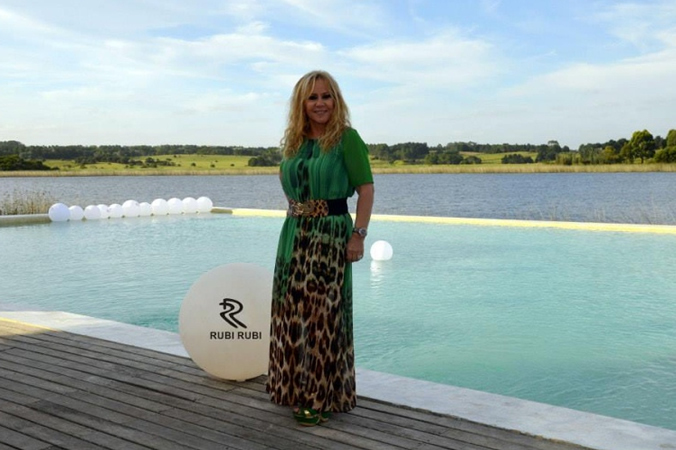 The high jewelry brand RUBI RUBI arrived in Puerto Madero with Joyería De Maio. Some of our design jewels which reflect RUBIRUBI goldsmiths’ mastery were presented in a cocktail with celebrities and businessmen in this boutique. On November 13th Rubi Rubi took part of the Theme Observatory “Lujo y comunicación” at Palermo University. 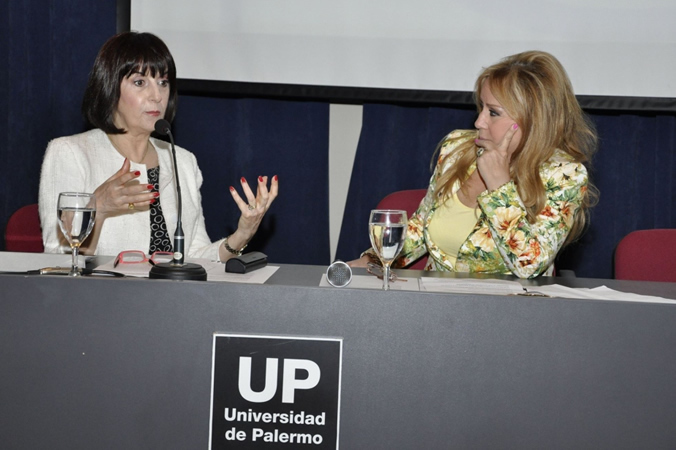 The panels were organized by Palermo University and Zelmira K Comunicación, Edith Miroznik, Rubí Rubí designer, Silvia Santuccio, director of Fragrance Brands Argentina (Kenzo, Fendi y Givenchy), María Inés Caruso, CEO de Rossi & Caruso were some of the panelists. The 1st. 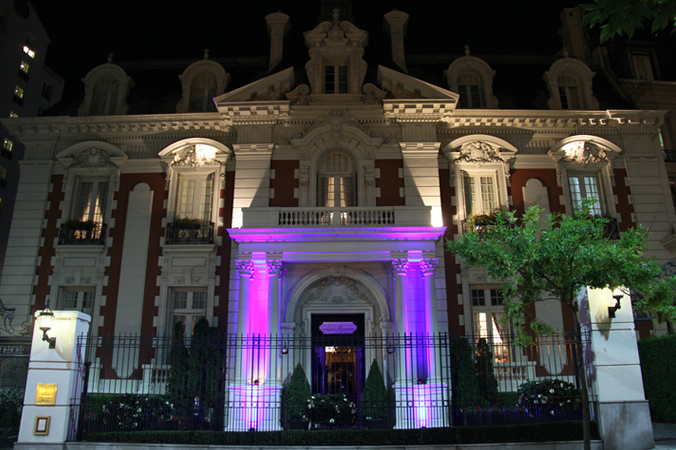 Jewels & Art Room in Rosario took place in the Museum of Decorative Art Estévez in Rosario city. Apart from the exhibition sector; panels were held by specialist from the jewelry field. Rubi Rubi participated with designer Prof. Edith Miroznik, together with the master goldsmith Carlos Pallarols y designer Rodrigo Otazu. Edith said “My world has been and is one of dreams and ventures; I’m fascinated to see that we could build something: create jewels. It’s through my pieces that I express myself and develop all my creativity”. She also pointed out that Rubi Rubi projects each jewel design very carefully, making the best out of its beauty, coordinating color and light of every gem, giving each piece the characteristic glam of high jewelry. 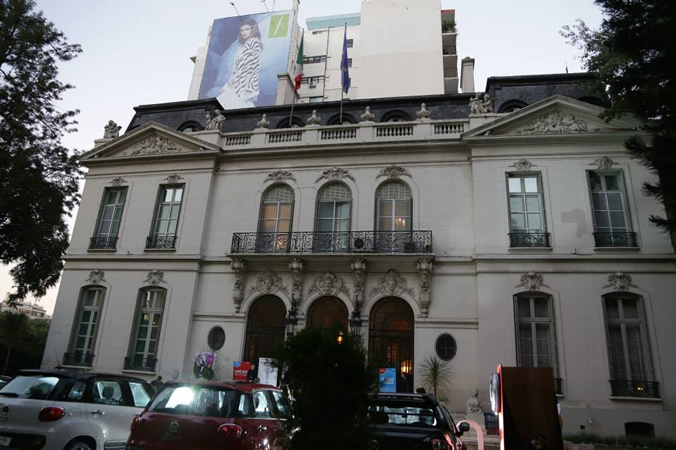 The 20th Six o’clock Tea edition took place in the Sociedad Rural building in Palermo, Buenos Aires. 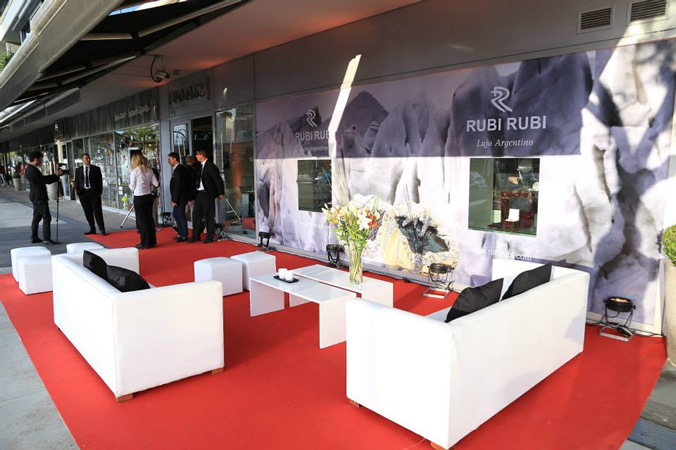 Rubi Rubi was part of this traditional event by Carminne Dodero, with the exhibition of the most distinguished pieces of high jewelry of this luxury Argentine brand. Rubi Rubi, with almost 100 years of tradition, showed pieces of exclusive design with rubies, emeralds and sapphires made by master goldsmiths in our workshops. 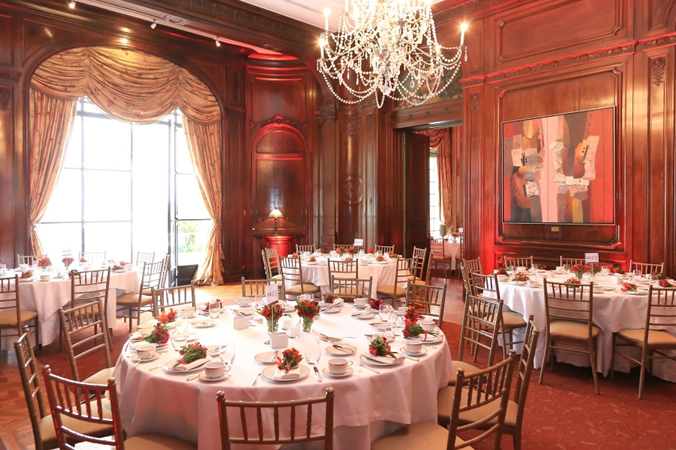 On October 15th the Tea Couture was held in La Mansión at Four Seasons Hotel, sponsored by ICBC for its preferred customers. The presentation of the most representative pieces of RubiRubi collections together with the distinguished designer Gabriel Lage collections of haute couture took place. Exquisite embroidery and cloths with the most sophisticated applications amalgamated with diamonds and sapphires in designs in gold, red, pink and white by Rubi Rubi. The artistry of high couture and high jewelry melted in an exclusive presentation. This traditional event by Carminne Dodero took place at the Italian Embassy. The latest collection by the highly recognized designer - and Milan Fashion’s little girl-, Marta Ferri was presented. Some important Argentine designers also showed their creations: Bnedikta, Susi Hammer, Natacha Morales, Florian, Cosecha Vintage, Edu de Crisi and Naima among others. During this event Luces del Fin del Mundo, a collection by RubuRubi and inspired by the ices of southern Argentina was presented. This was part of RubiRubi charity program in alliance with Six o'clock Tea so a vast part of the funds raised were donated to ex Casa Cuna and Pedro de Elizalde Hospital. 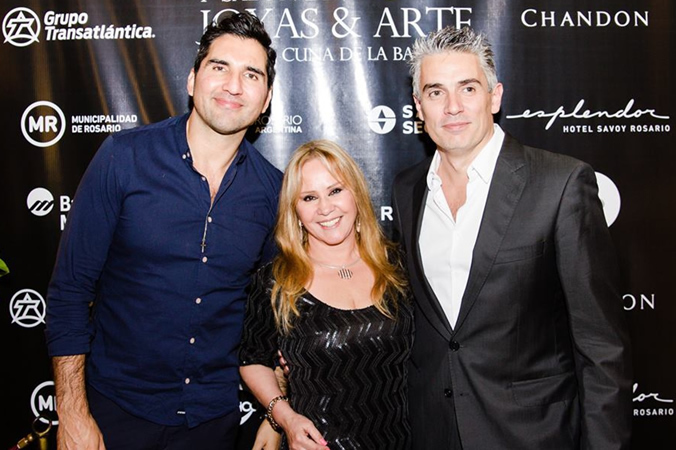 Our collection Luces del Fin del Mundo was presented on May 15th together with distinguished designer Gabriel Lage at the fund-raising Gala Music for Hospital de Clìnicas that was held in the Gold Room at the Colon Theater. The alchemy of jewels and haute couture was the star. 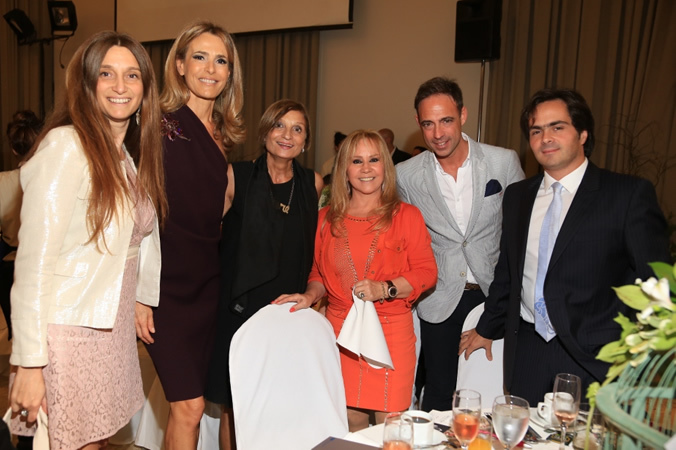 More than 500 guests supported the event, among which there were great figures of the social, artistic, business and media areas: Mirtha Legrand, Susana Giménez, Graciela Borges, Carla Peterson, Marcela Kloosterboer, Rosella della Giovampaola, Betiana Blum, María Belén Aramburu, Debora Perez Volpín, Iván de Pineda, Adriana Constantini, Ana Rusconi, Evelyn Scheidl, Anamá Ferreira, who applauded the collection. Rubi Rubi disembarked in Punta del Este. The jewelry brand opened an exclusive boutique in 20 Street. 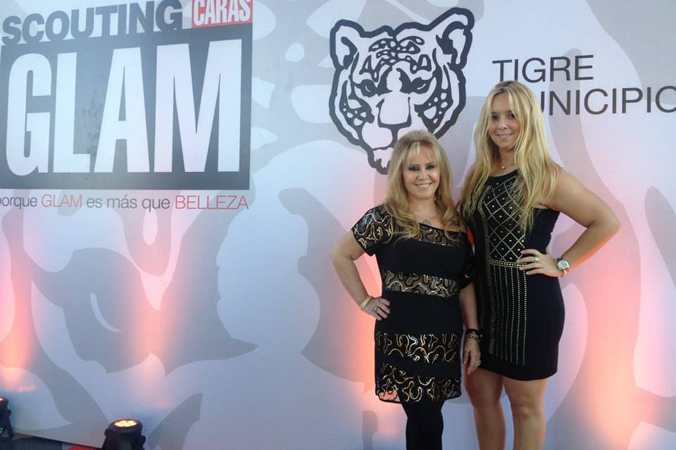 Susana Gimenez and Guillermina Valdez were the evening stars and our distinguished guests were delighted by RubiRubi unique collections which express the brand’s artistry backed by a 100-year tradition. (Centennial). 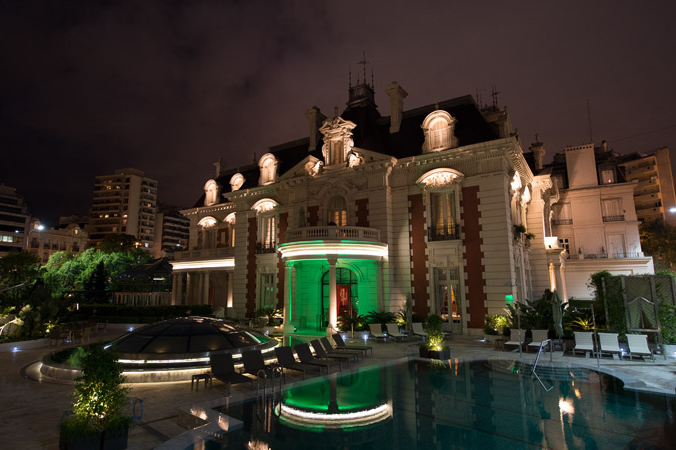 Rubi Rubi introduced “Luces del Fin del Mundo”, the brand’s new collection, last November 27th in La Mansión at Four Seasons hotel in Buenos Aires. Many distinguished guests, delighted by the presentation, enjoyed a cocktail reception specially held for the occasion. Teté Coustarot, the show presenter, shared with Edith y Diana Miroznik German, Rubi Rubi Directors, the brand’s past and present. The collection was presented with a six-dancer performance and the mezzosoprano voice of Trini Goyeneche (dressed by Verónica de la Canal) while toasts, laughs and mixed emotions were shared. Luces del Fin del Mundo collection plays with the tones of the ice. It is a trip to southern Argentina lands where lights unfold in their colder hues. The theme portrays the unpaired splendor that Nature gives us. Design plays with optical illusions among the white of the diamonds, the sky blue of the sapphires and the brown of the brown diamonds. Luces del Fin del Mundo is a trichrome that exalts the colors of ice, water and land.